A laser is a propagating wave that describes the behaviour of many particles. Optical lasers consist of electromagnetic waves that are populated by photons, the particles of light. In contrast to light from an incandescent source, in a laser beam all photons travel in the same direction and have the same color. An atom laser is a propagating quantum mechanical matter wave that describes the motion of millions of atoms. In contrast to atoms in a thermal gas, atoms in an atom laser beam all propagate with the same speed in the same direction. 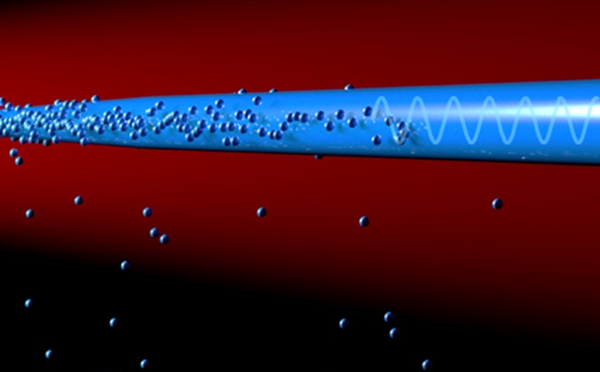 So far only atom lasers that lase for a few hundred milliseconds have been created. They are based on Bose-Einstein condensates (BEC), which are stationary matter waves populated by many atoms. To produce a BEC two cooling stages are used, first laser cooling and then evaporative cooling. An atom laser can be outcoupled from a BEC until all atoms in the BEC are used up. 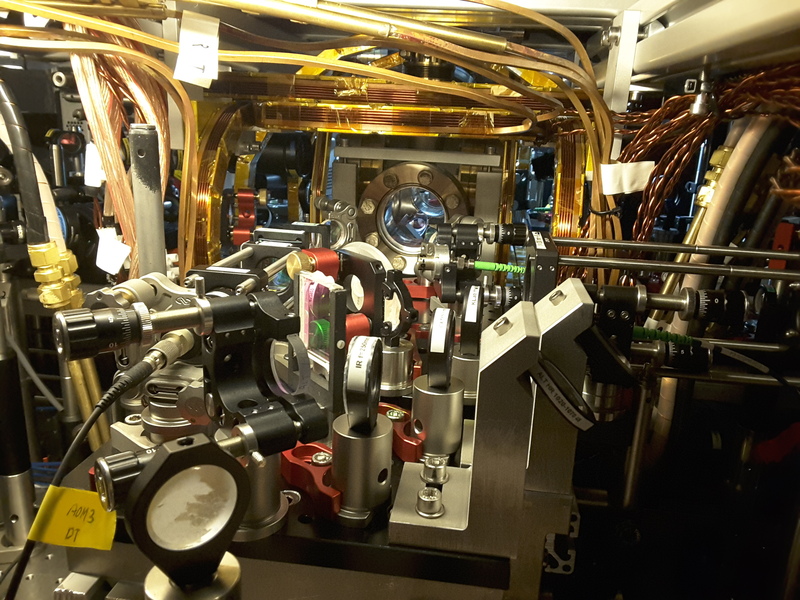 A new atom laser beam can only be created after producing a new BEC, which takes seconds. We are trying to create a perpetual atom laser by performing the two cooling steps separated in space and not in time. The challenge of this approach is that the laser cooling photons used in the first cooling step destroy the BEC. In 2012 we found a method to circumvent this problem and created a BEC in thermal contact with a laser cooled cloud, using only laser cooling to remove the entropy from the gas. Based on this method we designed a new apparatus, which has the potential to create the first perpetual atom laser. We intend to use this atom laser to perform atom interferometry and as medium for a superradiant clock laser.